It is very essential to optimize the speed of Magento server, as it allows the e-commerce store to gives the customers the best user experience while shopping. Another important reason to optimize the Magento performance is to save the Google Rank from getting affected that slows down your site. Google’s page speed tool and gtmetrix.com are some basic online tools that improve the performance of your site. With the use of Magento performance extensions, you can consider using this process. 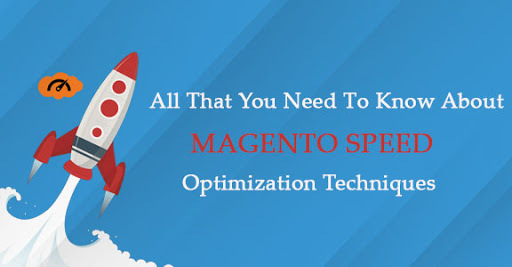 Read the article to know the Magento Speed Optimization Steps in detail. Although with many advantages attached with Magento, it is also the most commonly used e-commerce platform in today’s time, Magento is constantly facing many performance challenges because of the heavy-weight structure. Thus to maintain the speed of the loading site it is essential that Magento site is optimised on a regular basis so that the needed action can functions properly. Temporary data should be stored in multiple locations through the content delivery network (CDN). Enable browser caching and use gzip compression. This gives the user a higher accessibility and availability for all the interactions they make. The speed of Magento Store can be increased by 80% with a web application called accelerator (caching HTTP reverse proxy) eg. Vanish. By upgrading to the latest version of Magento you will not only get bugs and security fixes, and many more other features but Magento will perform better and better with every update. This allocates the needed processing capacity by scaling the resources of the server and working according to the traffic conditions. ie. By auto-scaling, the servers are increased or decreased according to the needs of the traffic. If you reach 100% percent server CPU usage, this is an indication that the server needs an upgrade, so always look for a server that can accommodate the concurrent users and the load of traffic which is expected during the day. Choose a server that is located near the targeted audience and add both CPU and memory power to it. Uninstall all unused extensions and disable all the modules that are not used: System -> Configuration ->Advanced ->Advanced. Enable all Magento Caches: System->Cache Management. Whether ever plausible make proper use of compiler and a server that supports Magento auto-loading. Uninstall all unused and unnecessary Apache module or PHP and use PHP accelerator like Zend. Identify and carefully examine the front and back-end loopholes in your code. Optimise all the images and contents and use online image compressors to check the saved amount of size. Minify image sprites and your CSS and also check for your optimised files and template images. The professionals associated with Webappmate are well versed with how to Tweak Magento Speed Optimization htaccess performance. Call us know to discuss your requirements.